If you have your eye on a $250 Nest Learning Thermostat but can’t justify the cost, there could be a workaround. Your energy provider may help you get one for as low as $100—still not what we'd call inexpensive, but that's a $150 savings. Over the past few years, utilities started offering rebates to customers who install energy-efficient smart home devices. And some insurance companies now offer price breaks on smart home security devices, in addition to customary premium discounts for having security products installed. While the financial benefits for the consumer may be similar, the motives for the utility and insurance companies differ, says Frank Gillett, an analyst with Forrester Research covering the smart home sector. “Insurance companies want to reduce claims,” he says, adding that a safe, secure home might be less likely to have a burglary or fire claim. For their part, electric companies want to save on the cost of building more power plants to meet greater energy demand. Larger utilities and insurers are more likely than smaller companies to offer these incentives, but you’ll need to check your provider’s website or call to see what discounts may be available to you. To give you a sense of how much you might save, here are some of the discounts we turned up. Consumer Reports looked at some of the largest utility companies in the U.S., including Pacific Gas & Electric, Southern California Edison, Florida Power & Light, Consolidated Edison, and Georgia Power. All but Georgia Power offer rebates or discounts on smart thermostats, and one offers savings on smart lightbulbs. 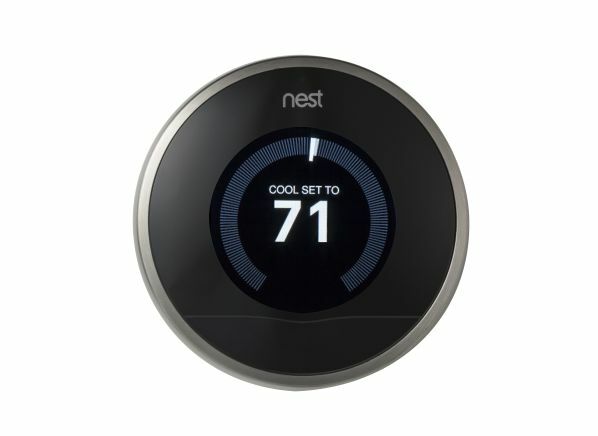 The best deal we found is a $75 rebate on select smart thermostats, which means you could get the Nest Learning Thermostat or Ecobee4 smart thermostat with Amazon Alexa built-in for $175 instead of $250. That's on the generous end of the scale, though; the typical rebate on smart thermostats is $50. A few companies offer even more if you join their “demand-response” program. What does that mean? You grant the utility permission to turn your smart thermostat up or down at times to reduce demand on the electrical grid. In exchange, you get additional rebates, or even annual discounts, on your electric bill. The programs vary, but generally your thermostat would only be set back during peak demand. You can always override the adjustments, but if you do, you may lose part of your discount. Two of the utilities we looked into reward participation in demand-response programs. Southern California Edison offers $150 in bill credits and rebates (split 50/50) for purchasing a smart thermostat and signing up for demand-response, plus up to $40 in credits for each year you stay in the program. If you override demand-response adjustments, say, on a particularly hot day, that will lower your savings. Consolidated Edison, which serves New York City and Westchester County, N.Y., offers a onetime $85 rebate for signing up for a program for two years. Most companies we checked offer a handful of thermostat choices. That means the rebates and demand-response savings may apply only to specific models. You might also be required to purchase the thermostat directly from the company. Check with your local utility for offers and details. And don't forget to check to see how each thermostat performs on CR’s comprehensive smart thermostat tests. As for smart lightbulb rebates, of the big utility companies we researched, only Consolidated Edison rewards the use of these energy-efficient lightbulbs. Smart bulbs connect to the internet for added functionality, such as remote control, automated timers, and voice control via digital assistants. When you buy the bulbs at Con Ed's marketplace, it offers $4 instant rebates for select Philips Hue and Sengled smart bulbs, which start at $30 and $15, respectively. Deals from insurers come in two forms: One is a discount on homeowners or renters insurance when you install a smart home device. The other is a price break on the device itself and/or related services. Some companies offer both. Travelers and Amazon recently announced a partnership and launched a special Travelers insurance page on Amazon. Through the partnership, Travelers is giving eligible new customers a free Amazon Echo Dot (the new third-generation version) and offering insurance discounts when customers buy and install one of three discounted smart home device kits that the two companies put together. 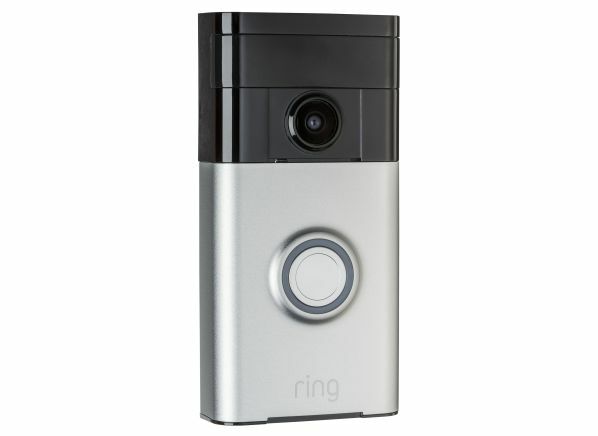 The kits vary in price for Travelers customers (from $135 to $320) and include a third-gen Echo Dot and varying quantities of other smart home gear, such as a $25 Wyze security camera, Samsung SmartThings leak sensors and motion sensors, and a first-gen Ring Video Doorbell. Of course, all of the devices work with the Echo Dot’s Alexa digital assistant. As for other major insurance companies: USAA offers discounts on ADT security systems. AllState, Farmers, Liberty Mutual, and Travelers provide discounts for installing protective devices, including home security systems and safety devices like smoke detectors. Keep in mind that eligibility may vary by state. The bottom line: It’s worth reaching out to your energy provider and home insurer to see what savings are available to you. Rebates and discounts may help mitigate the cost of smart home upgrades and provide an incentive in the ongoing quest for a safer, more energy-efficient home.